As the Catalans are proficiently maintaining their unbeaten run in La Liga, Ernesto Valverde ostensibly wishes to jettison three players who have failed to impress him yet. Barcelona have had a pretty decent start to the season, having won eight and drawn one of their nine games so far. Furthermore, they claim a 100% record in their Champions League group. Despite the world-record transfer of Neymar and long-term injury of Ousmane Dembele, the boss has operated creditably as the new gaffer to find themselves four points clear at the top. The Spanish tactician is expected to grapple back the La Liga title from their eternal rivals Los Blancos, and to operate better in Europe as well. For that sole purpose, Valverde is forethinking to make major rearrangements to his side, and consequently, has already marked its commencement by wishing to dispose of three players from the club, namely Arda Turan, Paco Alcacer and Rafinha. 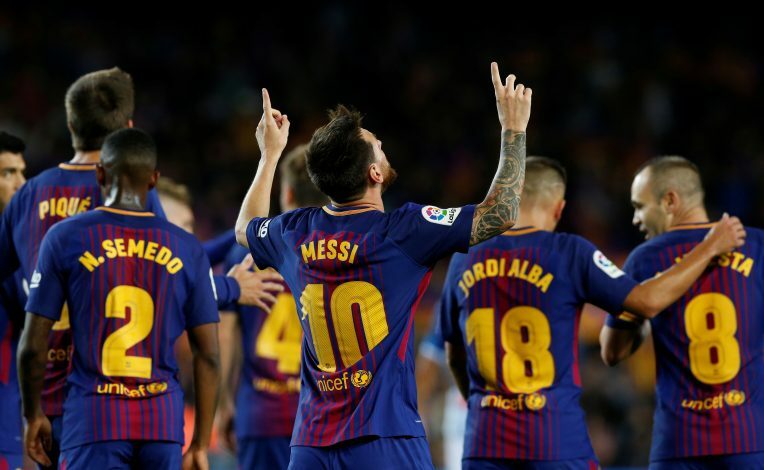 Purportedly, the La Liga giants’ prime concern for January is for players to leave before reinforcements come in, as the Catalans’ coach believes the squad is too big, and that players who aren’t playing should be provided exits. According to Sport, Barcelona are willing to engage in talks with the players sooner or later, so as to find the best solution for both parties. Owing to the fact that he is not getting much game time, Arda Turan’s worth has plunged down the pecking order. Despite having another two-and-a-half year on his contract, Barca are looking forward to unloading the Turkish international, hoping to gain 20 million euros from the sale. The 30-year-old is yet to make an appearance for the Spanish side this season, with his only minutes on the pitch being for the Turkish international team. Barca are set to sell him despite the considerable loss they might suffer, as they lured him in from Atletico Madrid in 2015 for €41 million. The second player up the list is Rafinha, who has failed to be considered as a regular in the team. He was exposed to talks with Arsenal and Liverpool in the summer, and Juventus also registered interest recently in the 24-year-old, who is the brother of Bayern Munich midfielder Thiago. Concluding the list of expected departures comes Paco Alcacer, who is seemingly not a part of the ex-Los Leones boss’ tactics. The Spaniard was the result of Luis Enrique’s plans for bringing in an experienced forward, after having decided to not take his chances on Munir. It reportedly took £27 million for roping in the 24-year-old from Valencia. However, he has struggled to be a part of the club’s consistent attacking crew since then. Barcelona are hoping to build a huge sum from these players’ departure, obviously to rope in another batch of decent players to fortify their attack and defence.